Desmond Finney is a veteran multi – talented Sierraleone movie star. A graduate from Fourah Bay College, Sierra Leone, Desmond Finney has been in the field of acting directing and producing spanning a period of 20 years. 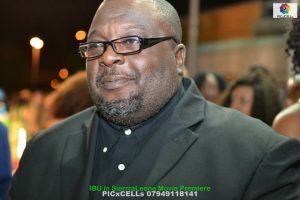 He has appeared in over Forty African movies and was nominated Best Newcomer for the African Movie Awards ‘Zafaa’ in the United Kingdom ,Best supporting Actor by the Giama awards in Houston Texas and won Best Actor AWOL Sierra Leone . He was also nominated as best actor for the ‘Ansev Movie Awards’ in Sierra Leone and his movie ‘Diamond Wahala’ has won two awards as best comedy at the Sierra Leone International Film Festival and the Ansev Movie Awards. 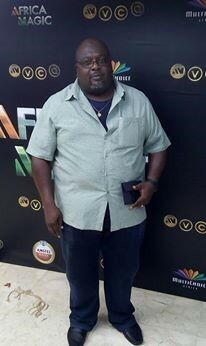 He has worked alongside industry greats like Desmond Elliot, Ramsey Noah, Rita Dominic, John Okafor( Mr Ibu),Mike Ezerounye, Morris K. Essay, Jimmy B ,Fatima Jabbi and many more shooting in Nigeria, Ghana, Sierra Leone and The Gambia.